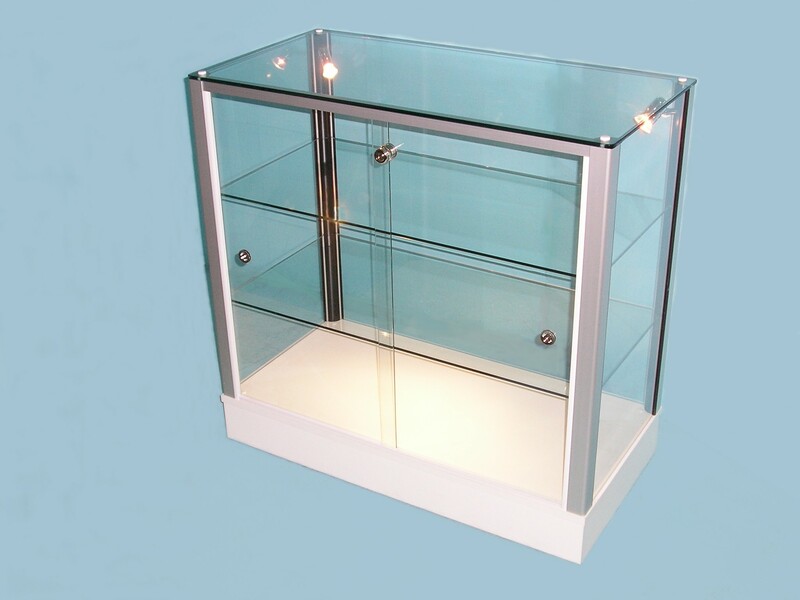 Counter Top Glass Display Cabinets by combining unobstructed viewing into the display area along with total security these simply ooze style and will do justice for any product and make for the perfect counter display unit. Particularly suitable for jewellery but by no means do the practicalities end there. 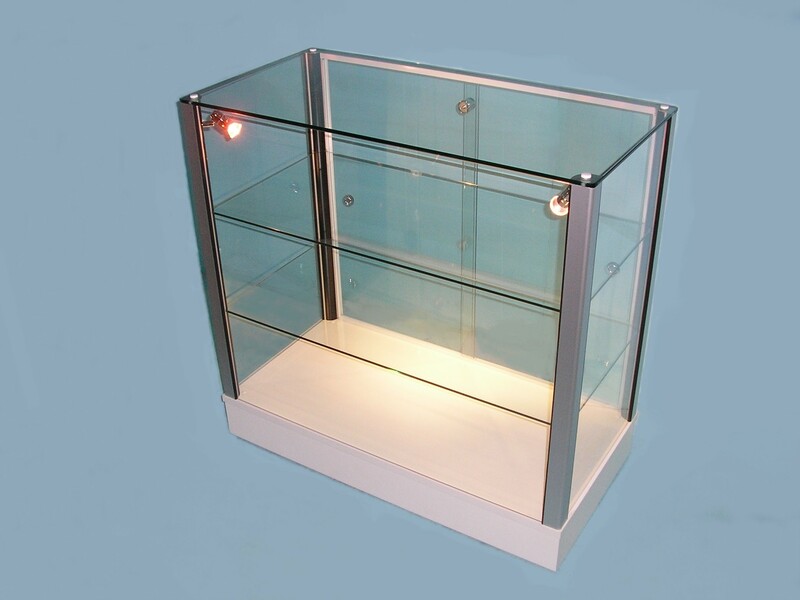 Counter Top Glass Display Cabinets come supplied fully built with standard features including Low voltage halogen lighting to the corner posts, which will bring your collection bursting to life, while a high security lock offers full protection and peace of mind. Standard cabinets can easily become bespoke versions as they are all made to order, with many options such as being ‘open fronted’ ie: without any glass doors, or choosing from our many stylish colour finishes, inserting a mirrored back or upgrading the lighting to our energy saving high power LEDs, we are confident that we can produce something which will not only show off your cherished possessions but also enhance them.